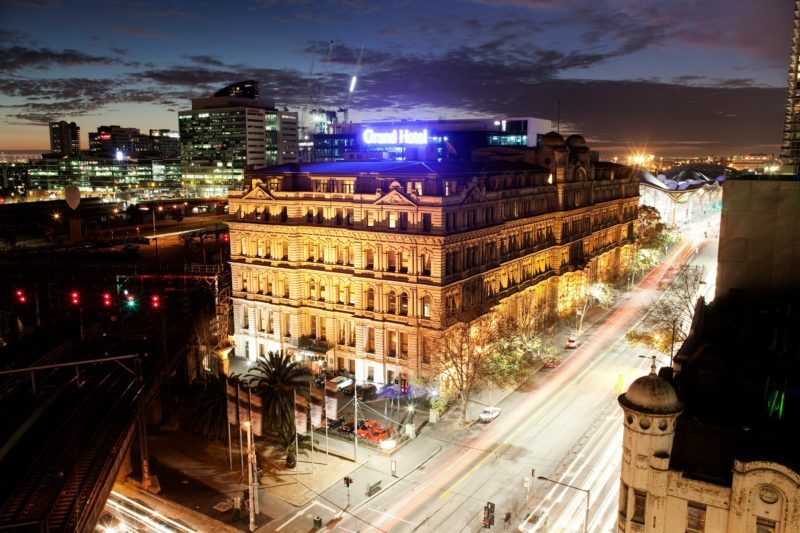 Grand Hotel Melbourne is a historic Melbourne icon. 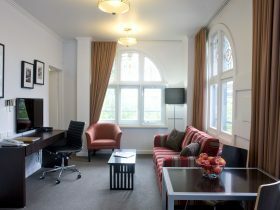 The heritage-listed building is over 120 years old and is impressive in size and design, effortlessly blending unique historic charm with the modern conveniences of a deluxe boutique hotel. 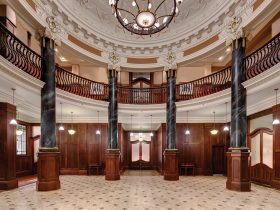 Be enchanted by the evocation of a bygone era in the midst of modern and dynamic Melbourne city. 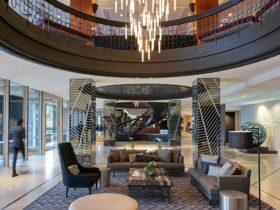 You will find the hotel conveniently close to all of Melbourne’s iconic attractions, including Crown Casino, Etihad Stadium and the Yarra River’s Southbank precinct with a myriad of restaurants and cafes. Guests travelling for business can enjoy a short walk to Melbourne Convention and Exhibition Centre and the Docklands business precinct. On return to the hotel, relax in its spacious apartments which are fully self-contained as studios, or split-level one and two bedroom spaces. All feature modern kitchen facilities, are luxuriously furnished and feature finer details such as decadent Grand beds and your own personal espresso machine featured in most of the rooms. 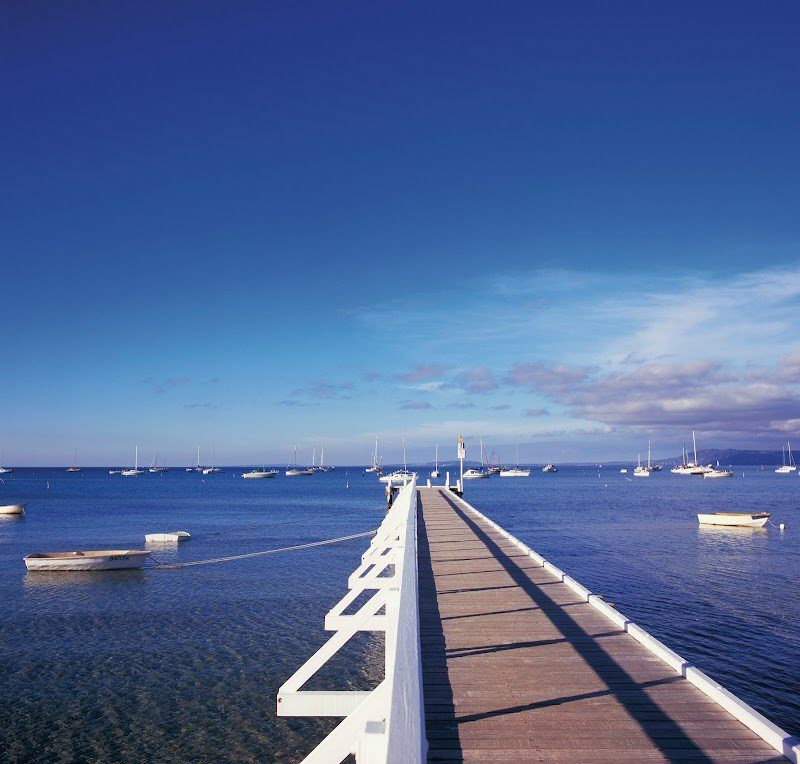 Other hotel conveniences include a large indoor heated pool and spa, gymnasium, sauna, and RAB Bar and Restaurant. Professional staff are on hand to providing each guest with a memorable and personalised experience. 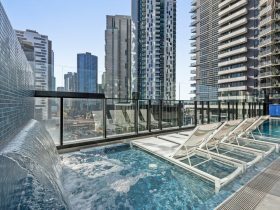 Looking for a self-contained studio apartment right in the centre of Melbourne city? 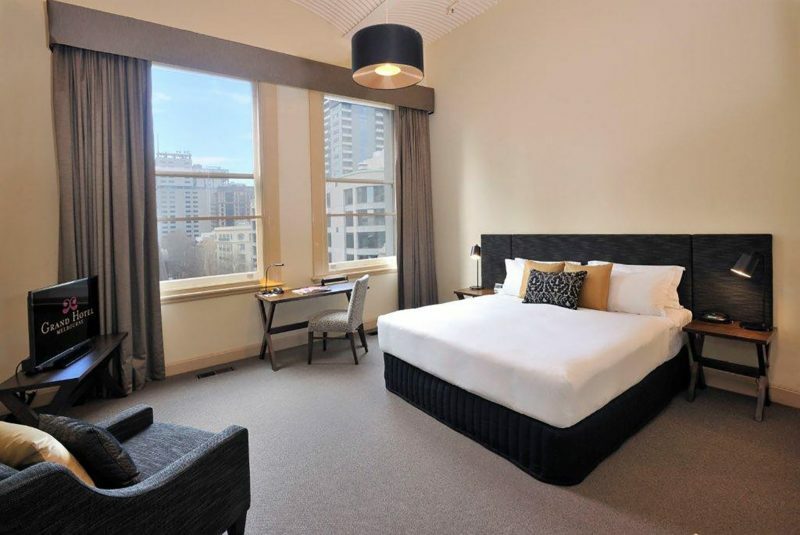 The Grand Hotel Melbourne provides you with amazing serviced apartments in the city centre with the full spectrum of facilities. 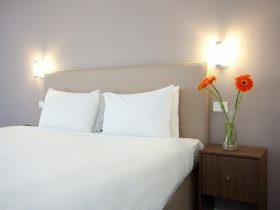 Enjoy all the same contemporary apartment facilities and premium bedding, but with the added comfort and luxury of a fully refurbished bedroom, bathroom and kitchen with modern, bespoke furniture and Nespresso machine for a grand touch. Designed for two people, the modern, refurbished Executive Studio Apartment is made for you to relax, undisturbed in a self-contained apartment sanctuary. 34-36 square metres. Relax in the roomy (60 square metres), loft-style, newly refurbished Executive One Bedroom Apartments which are designed to accommodate up to three people. Apartments are fully self- contained with superb furnishings and fittings, and include a modern kitchen, dishwasher and on-site laundry facilities. Note: A third person is an additional $55. The palatial one bedroom apartments are loft-styled and designed to accommodate up to three people. A third person is an additional $55. If booking more than two people, please request appropriate bedding. The apartments are fully self-contained, including a kitchen, dishwasher and on-site laundry facilities, to allow you to relax undisturbed in your accommodation sanctuary. The large open-plan studio apartments are designed to accommodate two people. They are fully self-contained, including a kitchen, dishwasher and on-site laundry facilities, to allow you to relax undisturbed in your accommodation sanctuary. The delightfully spacious (103 square metres) Executive Two Bedroom Apartments are designed to accommodate up to five people. Like our other apartments, these are fully self-contained and include a modern kitchen, dishwasher and on-site laundry facilities. You will find a DVD player with flat screen television, 24-hour room service, luxurious premium toiletries, and dedicated work-space with writing desk and leather chair. You will find everything you could desire to relax in Grand style. The palatial two bedroom apartments are loft-styled and designed to accommodate up to five people. They are fully self-contained, including a kitchen, dishwasher and on-site laundry facilities, to allow you to relax undisturbed in your accommodation sanctuary. Each additional person is $55.